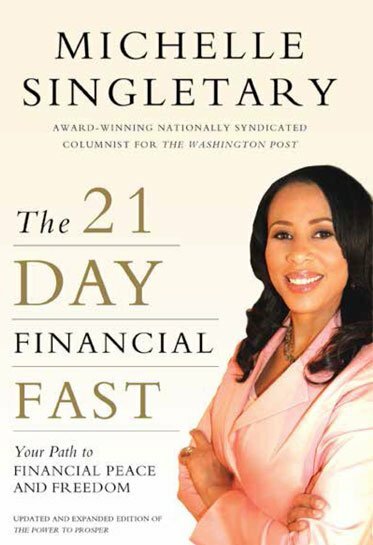 In The 21 Day Financial Fast, award-winning writer and The Washington Post columnist Michelle Singletary proposes a field-tested financial challenge. participants will put away their credit cards and buy only the barest essentials. As you discover practical ways to achieve financial freedom, you'll experience what it truly means to live a life of financial peace and prosperity. Thousands of individuals have participated in the fast and as a result have gotten out of debt and become better managers of their money and finances. The 21-Day Financial Fast is great for earners at any income-level or stage of life, whether you are living paycheck-to-paycheck or just trying to make smarter financial choices. Copyright © Michelle Singletary. All rights reserved.